Postural Orthostatic Tachycardia Syndrome, or POTS, is syndrome characterized by a dysfunctioning autonomic nervous system. POTS is also a form of dysautonomia. The autonomic nervous system controls your breathing, heart rate, stress response, and temperature regulation and in people with POTS, this system no longer works properly. Symptoms of POTS usually include a very fast heart rate upon standing, abnormal sweating, palpitations, upset stomach and chest discomfort. People with POTS typically have problems with blood volume and low blood pressure, a problem TRIORAL can help solve! TRIORAL is an affordable oral rehydration solution made to prevent dehydration due to travel, exercise, extreme heat, and chronic illness. Most fitness and electrolyte-replenishing drinks do not have enough salt to work as effectively as a traditional ORS supplement. In order to achieve rapid rehydration, a correct balance of salt, sugar, and potassium is needed. 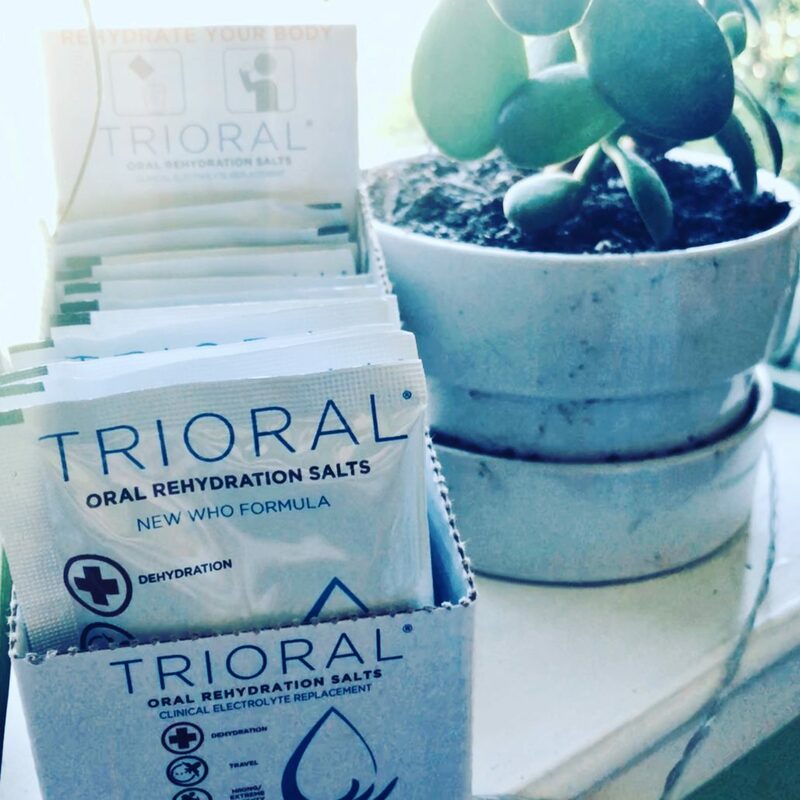 TRIORAL ORS is made according to the new World Health Organization formulation, with years of research to back up this tried-and-true rehydration powder. Millions of people are using this formula worldwide so you can be confident using TRIORAL. For people with POTS, daily hydration and dehydration prevention is key to symptom management. Most patients have to take salt pills or drastically increase their salt intake to maintain a healthy blood pressure. Drinking TRIORAL may reduce the need for salt pills and other increased sodium intakes because of its effectiveness in expanding blood volume and preventing dehydration. Interested to hear about how TRIORAL helped a patient with POTS? Read on for details about Heidi’s TRIORAL comeback. POTS? 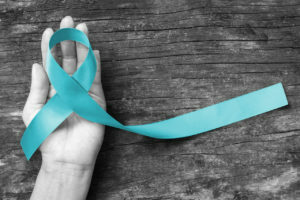 You mean you have Potts Disease (tuberculosis)? Or is it something to do with marijuana? Are you sure it’s not just anxiety? The answer to all of these questions is no and yes, I am sure. I have POTS or postural orthostatic tachycardia syndrome. In other words, I have a syndrome that causes a super fast heart rate every time I stand. The cause of POTS is not well understood, but it has been shown that patients can develop it after a viral illness, as in my case. Who knew eating a delicious fish curry could cause so many issues! To be diagnosed with POTS, you typically have to have a sustained heart rate increase of 30 BPM or higher when you stand up. When I was first diagnosed, I often had a 100+ BPM difference. So I was prescribed the typical increase salt, start physical therapy, drink more water, and wear compression regimen for POTS. But here is where I was confused: what kind of salt, how much water, and what brands for compression? The answer to these questions always seemed to be: whatever makes you feel best. I didn’t want to start drinking Gatorade or other sports drinks daily. They had way too much sugar, colors, and dyes. I started drinking organic electrolyte replenishing drinks, but they didn’t have enough salt. I finally turned to unflavored Pedialyte, but the $5/bottle drained my HSA card faster than anything else. After spending nearly $200-300/month for the past year trying desperately to stay out of the ER from dehydration, I finally found TRIORAL through another friend with POTS. We had been trying any and all rehydration powders and were about to just give up and make our own at home. So we bought our first 100-pack box, then our second, and then our third. We have never gone back to anything else since. Our monthly TRIORAL box is like having Christmas Day thirteen times a year. Why do I love TRIORAL? Because of the salt content. I use between 2-4 packets of TRIORAL a day. That is between 5-10 GRAMS of salt. I no longer have the level of dizziness, tachycardia, and low blood pressure I used to before TRIORAL. TRIORAL also makes each packet to be used in 1000mL versus 500mL. When you have POTS, you don’t buy the wimpy water bottles, you pull out the big guns. I like not having to put in 2-3 packets per each water bottle, multiple times a day. Most people think that it is crazy that I spend $40-50/month on salty sugar water. Drinking water plain does not rehydrate you very effectively when you are chronically dehydrated. People with POTS need that extra push and TRIORAL did that for me. 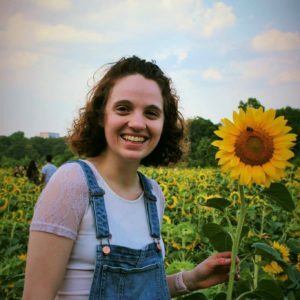 For more information about Heidi, POTS, and her story, check out her website Chronically Salty: Tips and Tricks for Navigating Life with Chronic Illness. Trifecta Pharmaceuticals USA is a leading developer, manufacturer and distributor of specialty over-the-counter (OTC) topical ointments, creams, gels and oral rehydration salts. We provide national brand-equivalent products to many branded products and pride ourselves on delivering the highest standards in quality, value and service to our customers across the United States. Thanks for sharing your information on your blog about Trioral! I have a teen athlete with POTs and trying to affordable keep her hydrated and salty is a challenge. She does not like Normalyte, and although Pedialyte Advanced is her favorite, I don’t like the sugar and dye, and the cost! She doesn’t love the taste of Trioral yet, but we found a flavor of Mio that makes it palatable so that she can get it down. I’m still trying to get her to drink more than just one a day, but we are making slow progress. Thank you for your feedback, has your daughter tried our Natural Lemon TRIORAL? We use natural Lemon Flavor and Natural Stevia as a sweetener. We suggest you mix some of the Lemon TRIORAL with the regular TRIORAL and this way you can get the best bang for your buck. The lemon TRIORAL is much better and Healthier Than Mio.